Membrane distillation (MD) is a thermally driven process which allows water vapor transport through a hydrophobic porous membrane. 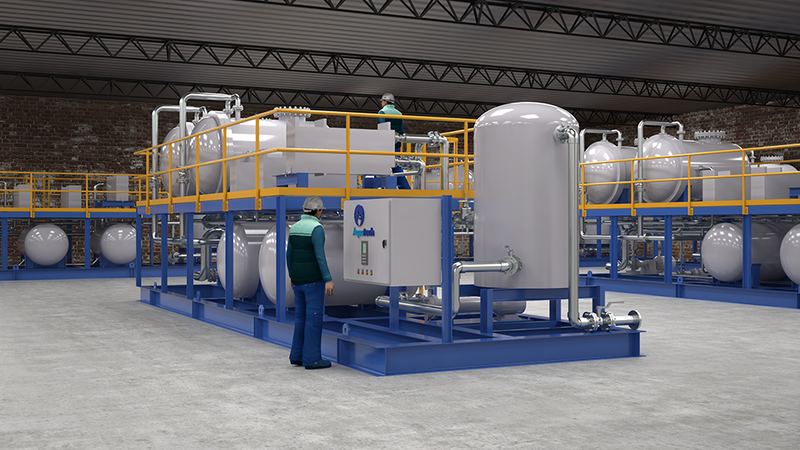 At Aquatech, we took this technology to next stage with our innovative process technology Advanced Vacuum Membrane Distillation (AVMD), a patent pending process. In AVMD, an applied vacuum pulls water vapor across the membranes and constantly recirculates brine without allowing salt crystals to reach the membrane. 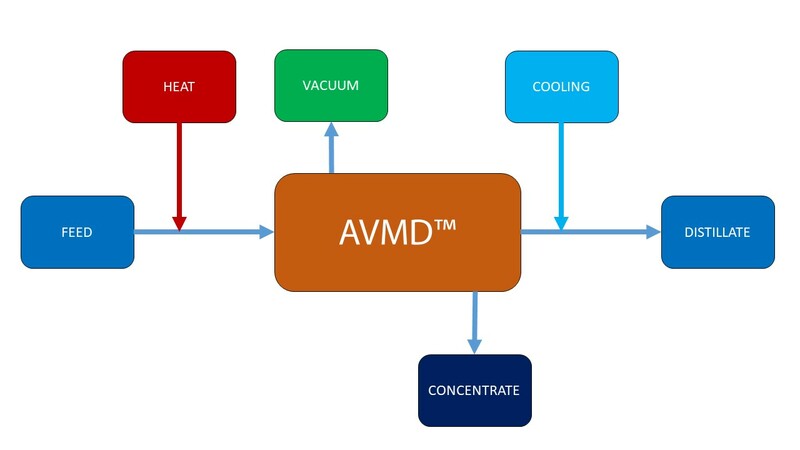 The AVMD process approach is to increase heat recovery & achieve high flux rates. AVMD combines the advantages of multi effect & vacuum distillation with membrane treatment to achieve high product quality at a lower energy consumption. 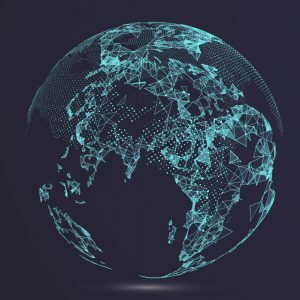 AVMD is particularly effective in applications where a significant CapEx advantage over conventional brine reduction technologies can be demonstrated, or where there is a recoverable product such as a solvent or valuable material which can be recycled back to an upstream industrial production process. 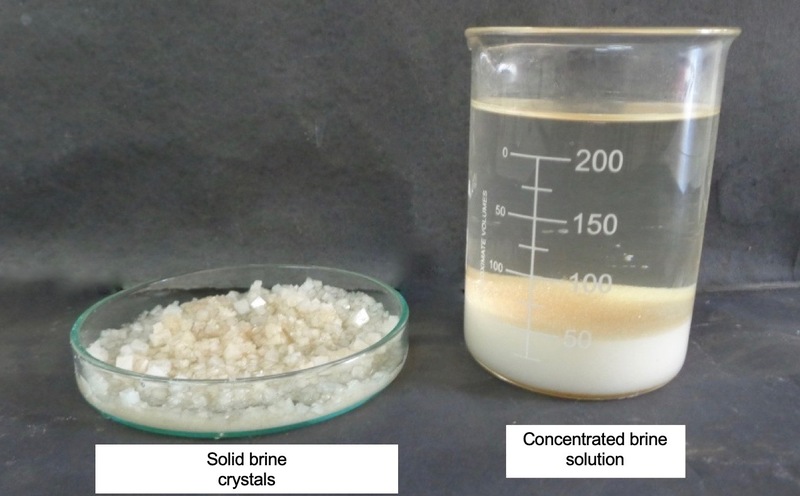 In conventional membrane distillation, membrane flux and distillate quality can be significantly affected when a solution reaches salt saturation and the membrane pores are flooded. AVMD overcomes this problem due to its innovative design that eliminates contact between the membrane and liquid/brine solution. Because of this design, membrane fouling is eliminated, leading to a consistently high flux and distillate quality, even at an elevated brine concentration.